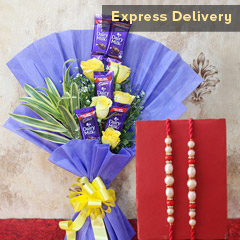 It’s time for merriment and it’s time to make your dearest brother feel loved and cared. 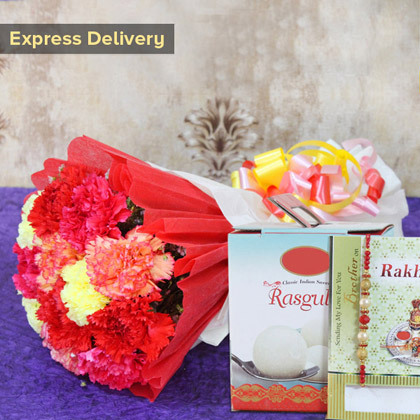 So, bringing here this fabulous Flowers, sweets and Rakhi hamper that will definitely help you impress your dearest brother on the day of Raksha Bandhan. 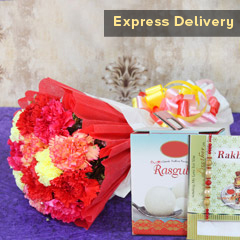 You just need to hurry and order for it right here!